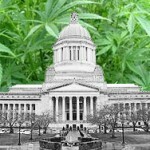 Could this Be the New Bi-Partisan Medical Cannabis Caucus? In the rush to judge legislors for voting away the rights of patients in recent voting, it’s sometimes hard to take the time to give credit where credit is due. It looks like patients will lose most of their rights and priveledges in the present Medical Cannabis laws (RCW 69.51a) with the possible passage of SB 5887 or HB 2149. Patient advocates Brian Stone and John Novak dedicated an extra amount of effort on the legislators in the 46th District. Our area has a good number of patients covering an area from the University District and wraps around the North end of Lake Washington. We are very happy with of our representatives in the 46th District. Each of them took bold steps to protect and support patients and one took the time to make an apology after a wrong vote and tried to undue some of the damage with Senate Bill 5887. Yesterday our Senator, David Frockt met with constituents of the 46th district to hear our concerns with SB 6542 and SB5887. He asked us if a 6 month “moratorium” on this bill, would be helpful so that the Cannabis patient community could present new legislation to both protect patient privileges, as well as addressing the concerns of the Federal government. He understood and supported our position regarding the registry (none). And he so introduced amendments for a 6 month delay and to remove the registry. Unfortunately both of these suggested amendments were rejected in a very partisan vote in the Senate Ways & Means Committe. Thank you Sen. Frockt for this effort and support. This was due also to the direct efforts of Rep. Jessyn Farrell, also of the 46th. While she voted in favor of Rep. Cody’s 2149 bill, she quickly realized her mistake the next day and emailed us upon reading our last minute personals plea on finding major holes in the bill for Veterans and others with life long illnesses and to vote no. Rep. Gerry Pollet, originally was skeptical of the Medical Cannabis community’s needs. But he took the time to meet with John and Kim Novak late last year to learn more about the needs of patients in a meeting that Senator Frockt also attended personally. It took great courage in voting against HB 2149, and Rep. Pollet was one of the very few legislators that did. He did this in spite of the pressure of going against the majority of his party. So maybe the 46th District will become the new leader in protecting patients rights here in King County! If you live in our district, please remember these actions by our incumbents and their support for patients at election time. Another huge surprise coming out the session so far has been the House Republicans, especially their debate on the House floor vote for 2149 as seen in the video below. Rep. Cary Condotta listened to our message of not changing the cannabis laws in 2014 seriously when he spoke about the bill being premature. He thought the impacts it would have on patients hasn’t been studied properly. An excellent analysis was given by Rep. Matt Manweller of the 13th District. He spoke of the innapropriatness for the Liquor Control Board to be handling this medication that some people’s lives are depending on. “Would it hurt us to leave these people alone?” he asked. Tracy Linderman Sirrine from the 13th District who spoke to him afterword stated, “I’m very proud of him.” She’s been an avid advocate for patients and has supported patients with her red shirt down in Olympia. That wasn’t good enough for the 7th District. “In a time when nothing seems to go right at the capitol, District 7 can find comfort in knowing that Shelly Short, Joel Kretz and Brian Dansel care!” said Gina Garcia, a patient advocate from the 7th District in the northeastern area of Washington State. Rep. Kretz was very supportive of all the patients coming to his office with the help of the local district advocates. This is a very large district covering Okanogan County into Spokane. He was supportive of patients when John Novak was raided in this district back in 2010 and this year’s no vote on 2149 proved it. He also took the time to listen to the story of Lilly Fisher, a child taken from her father by CPS for using cannbis as medicine. Are you brave enough to take a stand along side other medical cannabis patients with these legislators that are listening and taking action when it counts? Then you could be wearing a red shirt and helping us kill these bills and PROTECT MEDICAL CANNABIS. We continue our message of “No changes to RCW 69.51a” in the 2014 Legislative Short Session. It’s a simple message. Human Compassion Necessitates it.